Traveling with kids takes a lot more planning than traveling solo or even traveling as a couple. Beyond just the additional effort that goes into packing for a baby or toddler, there is so much more research that also goes into planning family trips. It’s always good to know what cultural differences to expect and what comforts from home you may not have abroad. Gone are the days of booking plane tickets on a whim and jetting off to a new country without an itinerary written out, a hotel booked, or an idea of what we’ll do once we’re there. Nowadays, we have a 10-year travel plan. (What can I say, I like to be prepared.) 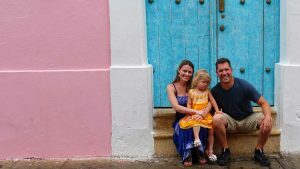 That 10-year plan is basically our family travel bucket list, and it’s something I recommend all families who are interested in traveling sit down and make. What is a family travel bucket list? Our family travel bucket list is basically a 10-year calendar of places we plan to visit each year. Knowing in advance where we may go, helps us to budget accordingly, research destinations in advance, and find awesome flight and hotel deals. 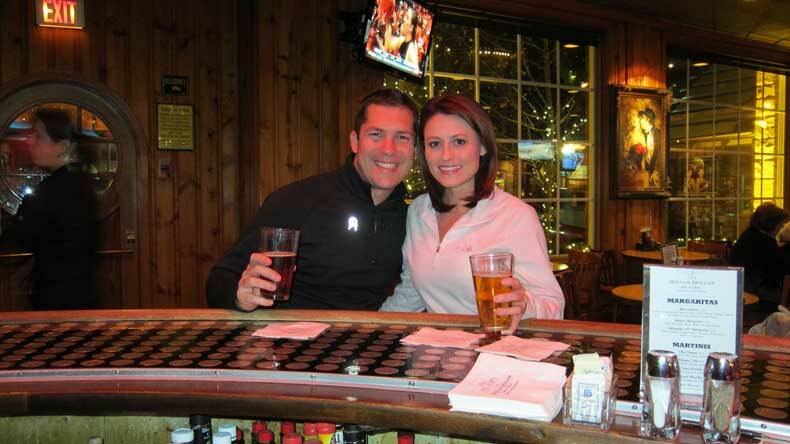 Our 10-year travel plan started one pre-kid night while in Jackson Hole, Wyoming. While having a beer or two, my now-husband and I put pen to bar napkin and literally wrote down every country we hoped to visit over the next decade. Having beers and planning our future travels. It was a fun conversation. We started by making a list of the countries we each wanted to visit the most and divided the countries out by year. By the end of the night, and a few beers later, we had made a semi-realistic calendar of places we hope to visit. It was the beginning of our family travel bucket list. Periodically, we discuss our travel plan and review all of the places we plan to go in the future. Sometimes a destination that may not have originally been on our radar may suddenly interest us, and we adjust our travel plan to fit it in. Of course, the list isn’t set in stone. It’s constantly changing based on various factors. For example, we were supposed to go to Colombia one summer, but instead headed to Belize and Guatemala. 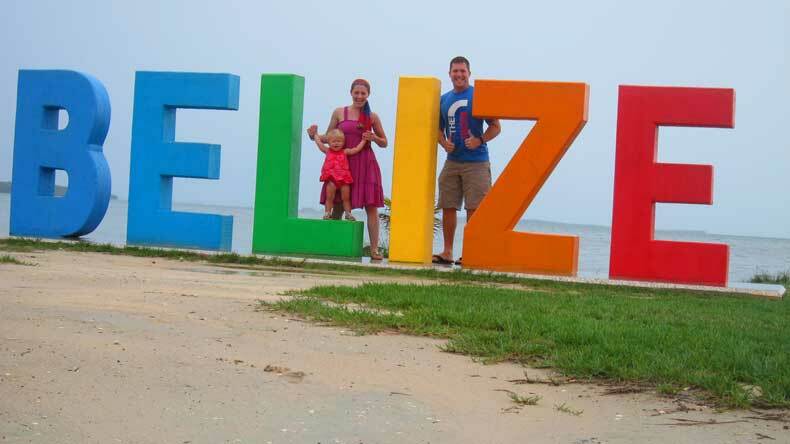 We changed our plans simply because we found a great deal on airfare to Belize City. Airfare to Colombia was higher than we wanted to pay that summer, so we postponed the trip by a couple of years. We did finally make it to Colombia, and had a blast in Cartagena, but we waited until we found a good deal that fit our schedule. Before you sit down to make a travel plan, you need to consider a few things. First, you need to think about how much time you have off from your job each year. This includes vacation days as well as your normal scheduled days off each year. You probably have more time off to travel than you realize if you can take shorter trips and combine holidays and weekends with vacation days. You also need to consider the various times of year when you can and cannot travel. Depending on your career, there may be some times of year when traveling isn’t feasible. For example, we don’t travel in spring because my husband’s career and position does not really allow for it. Families with children in school often need to make a travel plan that works around their child’s school calendar. If your kids are in school, it would also be beneficial to plan your destinations around the things your children may be learning in school to coincide with their curriculum. Finally, when making a family travel plan you need to consider your travel budget. How much can you realistically afford to travel while still being able to pay bills and save for the future? If you are fortunate enough to work remotely, you also need to consider whether you will have the necessary connectivity to work during your trips if needed. Each year, we usually take at least two international trips… One in North or South America, and one in Europe, Asia or Oceania. (I also like balance if you can’t tell.) This has been our plan since we first got married in 2012. The only year we modified that plan was 2015 when our daughter was born. That year, sleep deprivation and a major life change got the best of us. While we still went abroad twice during her first year of life, we stuck to countries closer to home. Because, let’s face it, flying with a baby is tough. Typically, we also try to balance out a more expensive destination with a budget-friendly one each year. For example, on a year that includes a trip to the pricier European region of Scandinavia, our second international trip might be to somewhere easier on the pocketbook like Mexico. 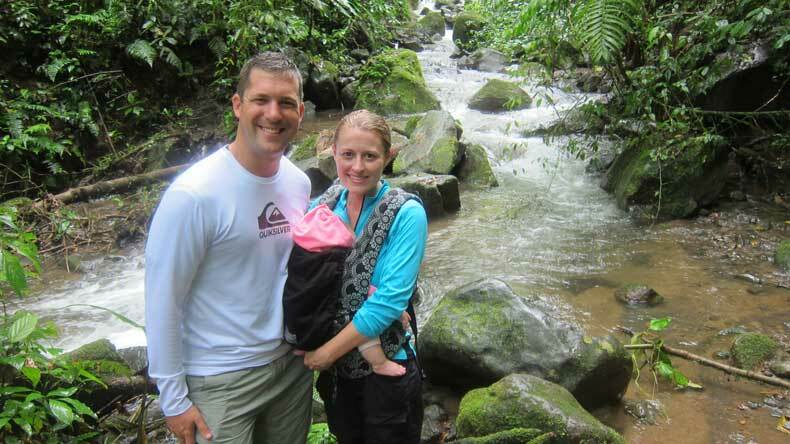 Sticking to the western hemisphere, hiking in Costa Rica after our daughter was born. Our 10-year travel plan not only gives us trips to look forward to but it gives us a rough idea of how much money we need to save for upcoming adventures. We keep an eye on airfare to specific destinations. And the minute prices drops, we often buy before they go back up. 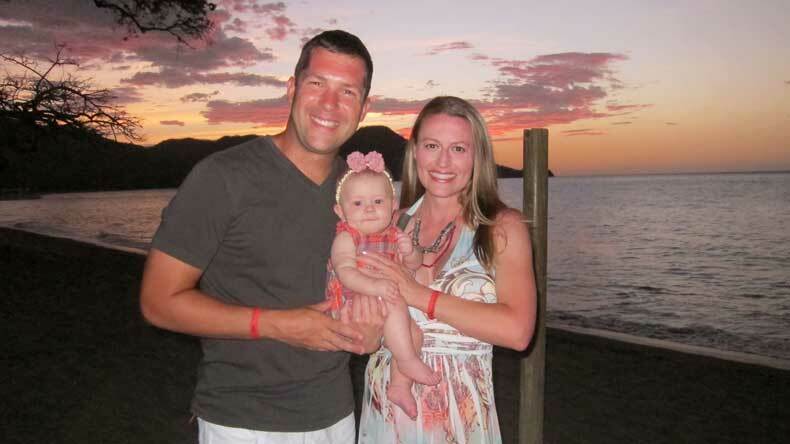 So what is on our family travel bucket list? We have a family travel goal of visiting all 7 continents before our daughter turns ten. There are approximately 40 countries on our family travel bucket list for the next ten years. As each year passes, we build on the list and add new destinations. Here’s a look at our 10-year family travel bucket list. In addition to our international trips, we also travel domestically numerous times a year. Those trips are more spontaneous and typically less expensive, therefore we don’t have any domestic trips on our family travel plan. While this list will inevitably change, having a family travel bucket list allows us to budget, plan accordingly, monitor deals, and get our daughter excited about new upcoming destinations. For other families who travel frequently, do you have one of these weird lists planning out the next 10 years of your life? 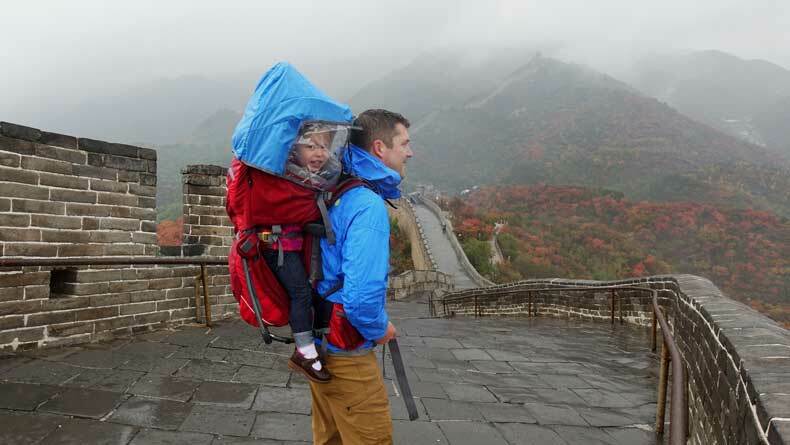 And if you’ve had a family travel bucket list for awhile, how closely have you stuck to it and what is on it? Haha! I’m glad we aren’t the only ones. For some reason, I felt like if we actually wrote it down it would be more likely to happen. And so far, it has worked. This is great – I am not nearly as organized! Like everyone though I do have a bucket list – two places we really want to take our kids to soon are Spain and Japan. Hoping for next summer. Both of those countries are on our bucket list/travel plan too. We are hoping to see both Japan and China next summer, but I’m not sure it’s feasible with only two weeks. I won’t truly know until I start planning the trip, which I won’t start doing until this time next year. I don’t have ten years planned in advance, more like two 🙂 but I do also have a list of all of the countries I want to visit! So where do you want to go in the next two years? Anywhere exciting? Happy travels! This Summer, we are taking our 7 year old to The Philippines (where my husband’s family is from), on road trips to Maine & Pennsylvania, and I’m doing a girls’ trip to Peru. In October, DC. The Philippines is amazing! We went to several islands as a part of our honeymoon (also, Japan) and it was gorgeous (just not Manila, so much). I can’t wait to go back again and see more of the islands. Especially showing my son the culture this time. What’s on your list in the next six years? I love hearing about other’s travel plans. I don’t have a new plan right now. But NYC is on my list definitely, Ireland and Amsterdam too:) and Germany asap! Ireland is amazing! We did a road trip across Ireland a couple of years ago. Happy travels!